For a woman her age, rif’s mum certainly doesn’t act or think like one. She’s very active and super sporting when it comes to food. Sometimes, I feel that I can’t keep up. She heard that the fried mee sua at Restoran Million was quite good, and invited us along to check the place out last week. The restaurant is very old school, not that I’m complaining — I like eating in this kind of places. Not when I’m in a dress though. The mee sua (RM14) came with peanuts, squid and pork slices, prawns, vegetables and smatters of pork lard. I thought the peanuts added an interesting crunch and flavour to the noodles. It was quite good, and I wouldn’t mind having this for dinner alone. 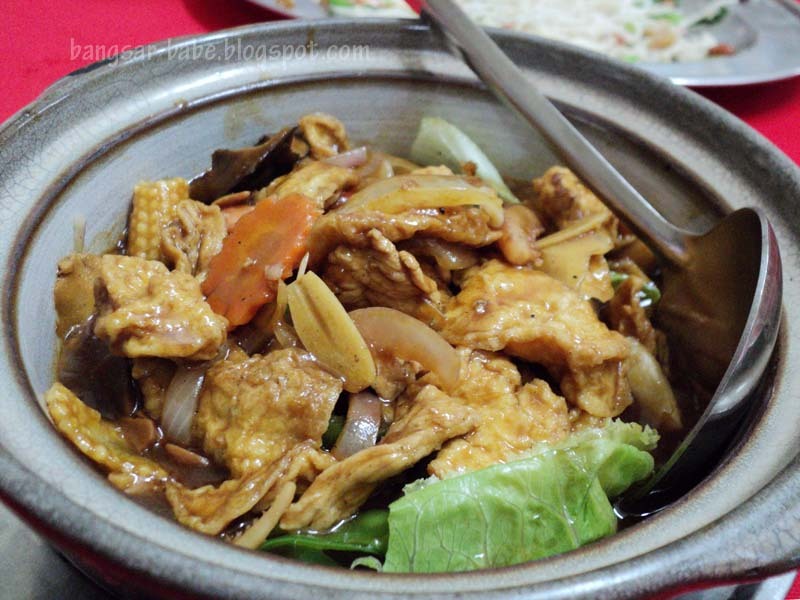 The claypot tofu (RM15) was nothing to shout about; it was slightly on the salty side. I used have asked them to use Japanese tofu/egg tofu. I would have enjoyed it a bit more. 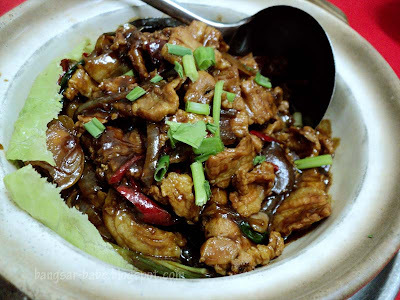 Our expectations were set higher for the Oh Chien (RM24 – large), as it came highly recommended. 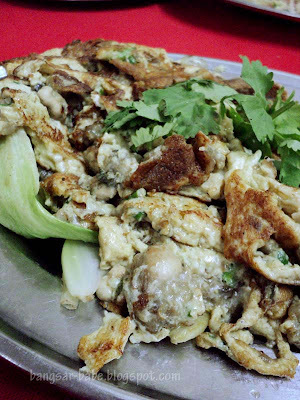 This version was similar to the Penang version, but slightly wetter and less oily. While it was not bad, it wasn’t fantastic either. However, the oysters were big, juicy and soft on the inside. The fried “pek kueh” (RM14) was ordinary and lacked flavour. There was barely any wok hei in the noodles, which was a joy-kill for me. Even with sambal, I didn’t like this. The crab meatball (RM16 for 14 pieces), according to the lady boss, was one of their specialties. Truth be told, I didn’t find anything special about this. The diluted chilli sauce failed to do the meatballs any justice. Ham Yue Fa Lam Poh (RM15) fared better. This was fragrant, with the right amount of spiciness. 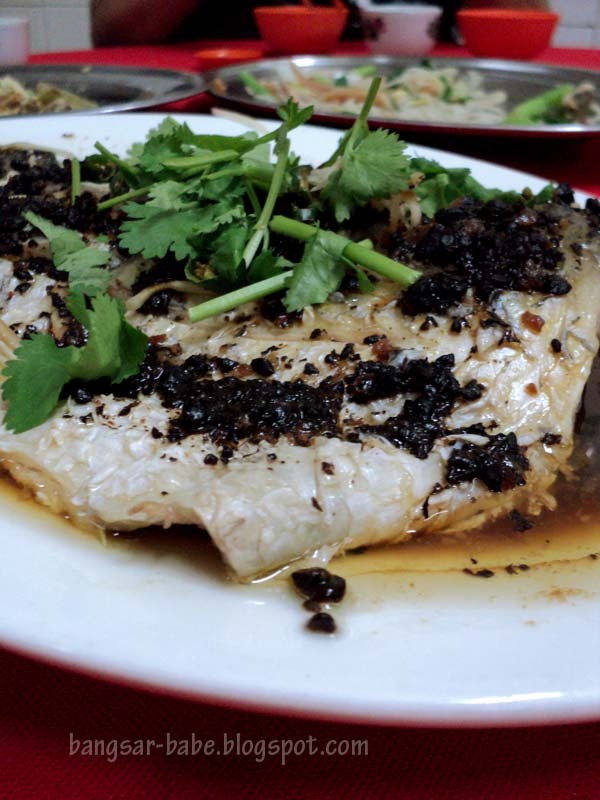 The salted fish added a pungent creaminess to the meat. On its own, I found it a tad too salty, but it went well with white rice. 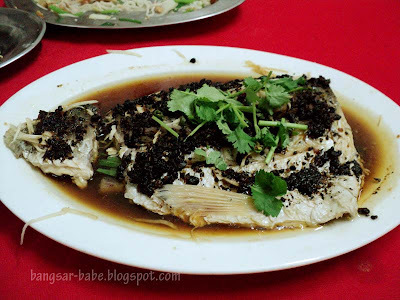 The fish (RM30) was my least favourite dish that night; I think it was “ma yau” fish. I cannot stand eating fish with that many bones. It annoys me most of the time. Dinner was average at best, with the exception of the fried mee sua. Next time, I would stick to the mee sua and order the porridge, which I heard is also very good. Verdict: Mediocre food. 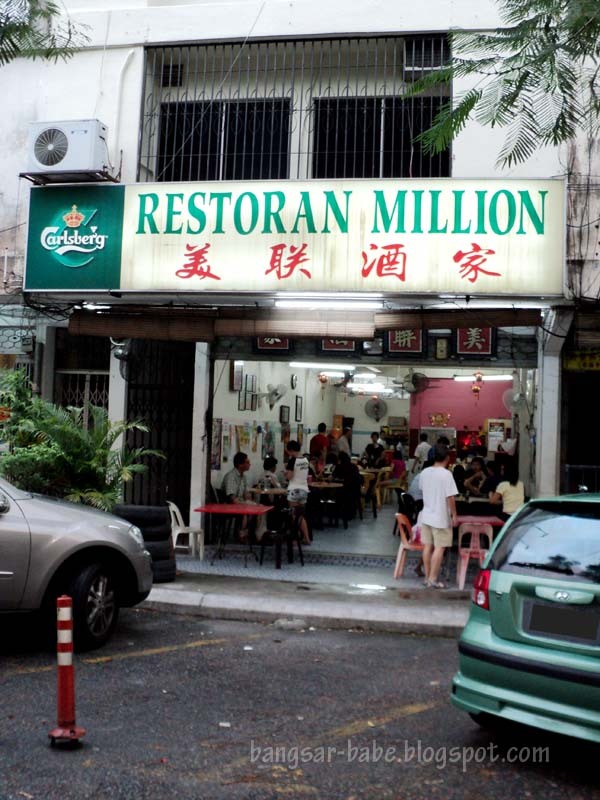 Only the fried mee sua was worth a mention. Strange dish. Worth taking me there ka? Hee hee. must try the crabmeat balls-not many restaurant serve it nowadays. 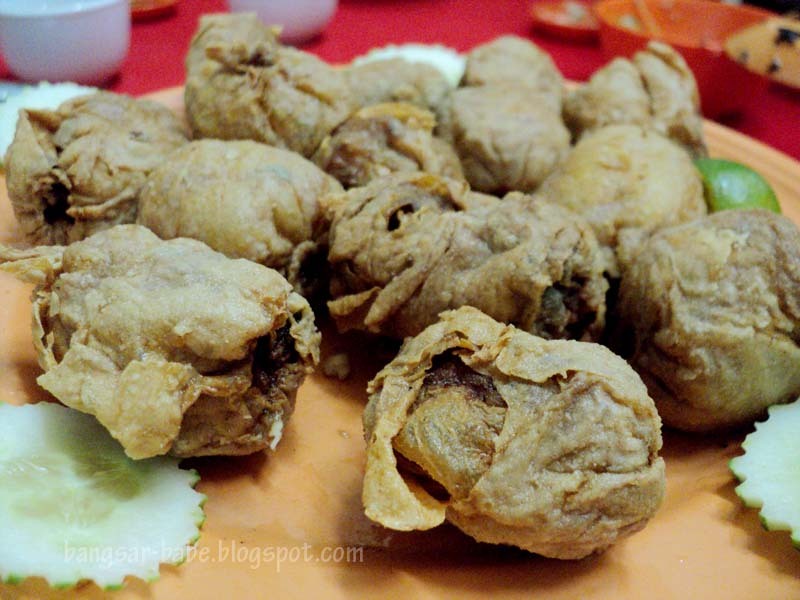 for a moment i thought that fried pak kuih was cuttle fish! 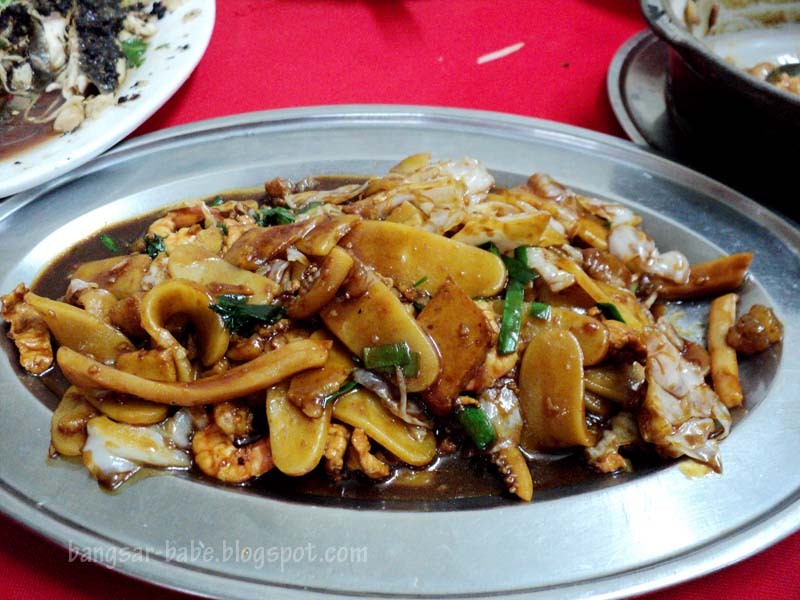 cuttle fish would have been yums! 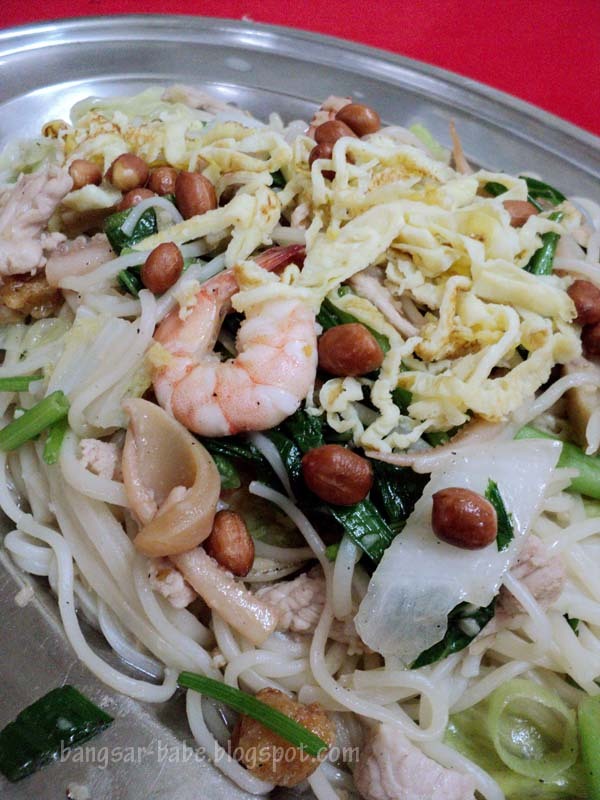 The mee sua so plain in colour, not inviting at all ler… =.="
KY – Hahaha…yeah, it would have been yummy! foodbin – I guess only the old school restaurants have them. Marcus – If we're around the area, then yes. Else, not worth driving all the way. Don’t go there staff and owner have no manners at all.